2010. 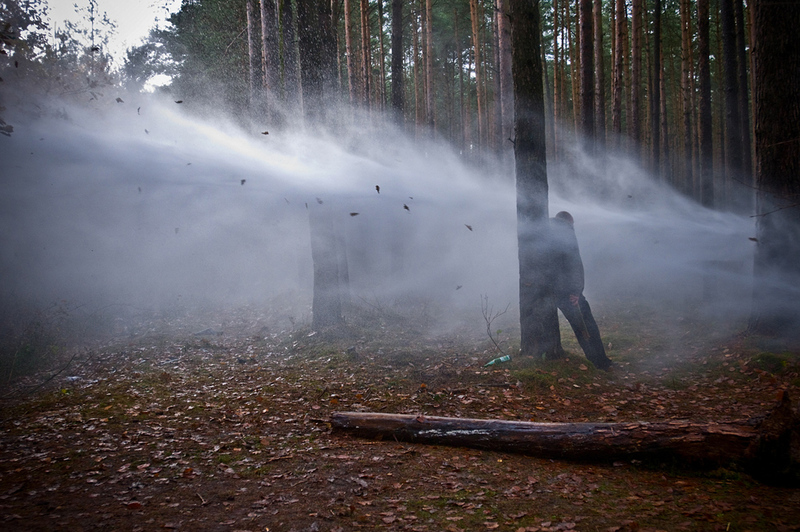 The police uses water cannons to disperse the protesters and activists in the forests surrounding the railway to the Gorleben nuclear waste interim storage facility in Northern Germany as a new transport is scheduled. 2014. 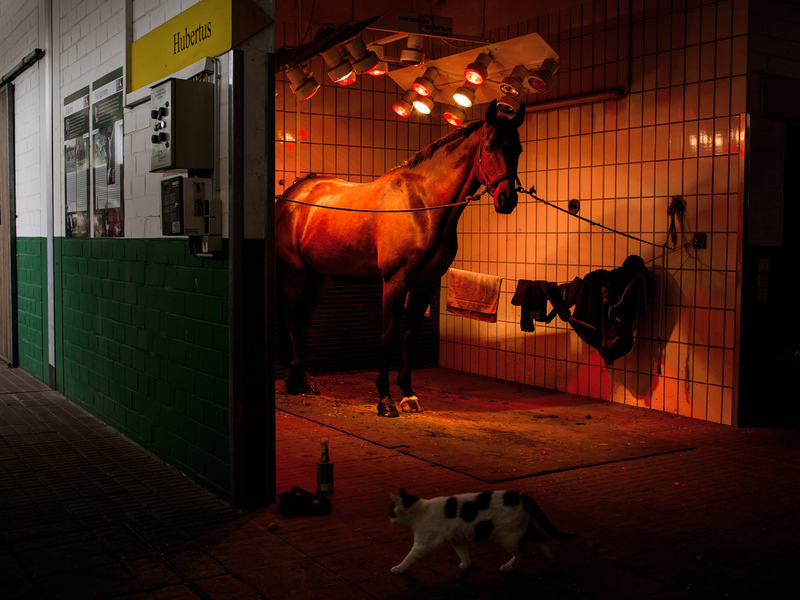 A horse is taking a solarium session at the training site German Olympic Horse riding committee in Warendorf while a cat passes by. 2017. 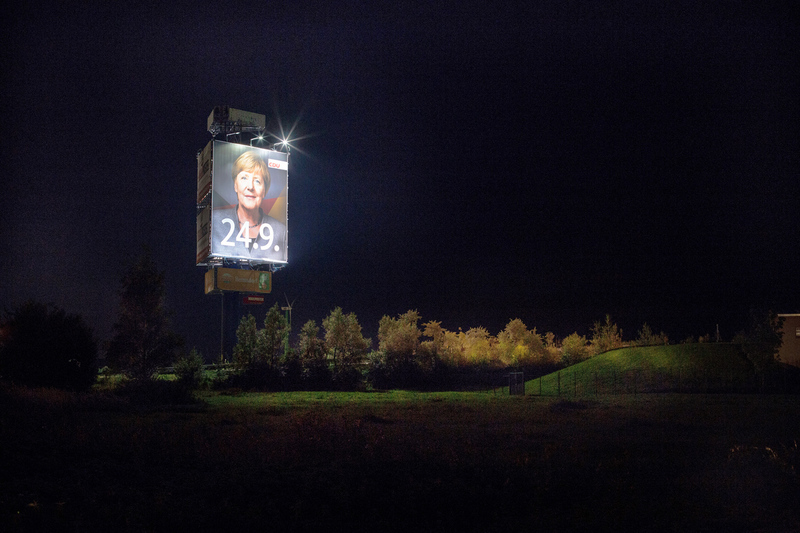 A giant election campaign poster of Angela Merkel lits the surroundings of the A9 motorway in central Germany. 2017. 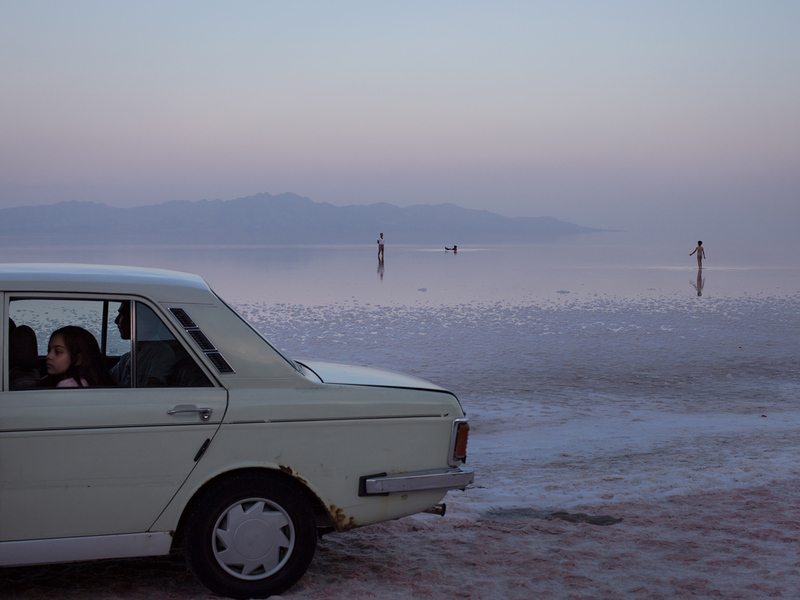 People leave the shore of the Urmia Lake by car after having picnic with friends and relatives there. Situated between the provinces of East and West Azerbaijan in North Western Iran, Urmia Lake once used to be the sixth largest salt water lake in the world. Due to environmental mismanagement and infrastructural planning errors it has continuously been drying over the past years and by now has shrunk to a tenth of its former size. The freed salt blown by wind might desertify vast regions in North Western Iran. 2017. 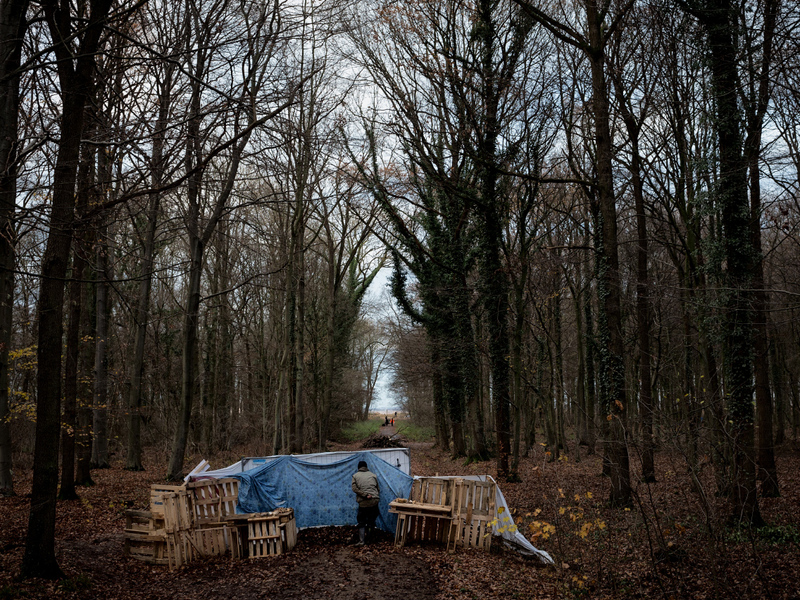 An environment activist peeps through a barricade built to hinder both police and security cars from entering their inhabited and occupied area in the Hambach Forest. The forest which is situated in the German Rhineland is subject to uprooting as the energy giant RWE aims to continuously expand a bordering lignite mine that it owns. 2010. A group of asylum seekers are having a "picnic" in the yard of the central accomodation facility of Meinersen in Northern Germany. 2016. 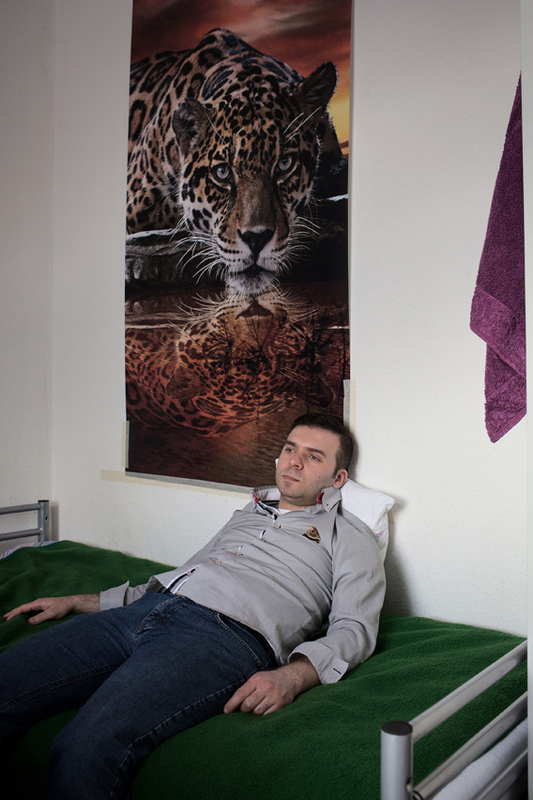 Zaher Khouja fled from Syria through Istanbul and reached Central Europe by August 2015. His wife, children and sister-in-law are now hindered to move on from Idomeni, Greece. 2016. 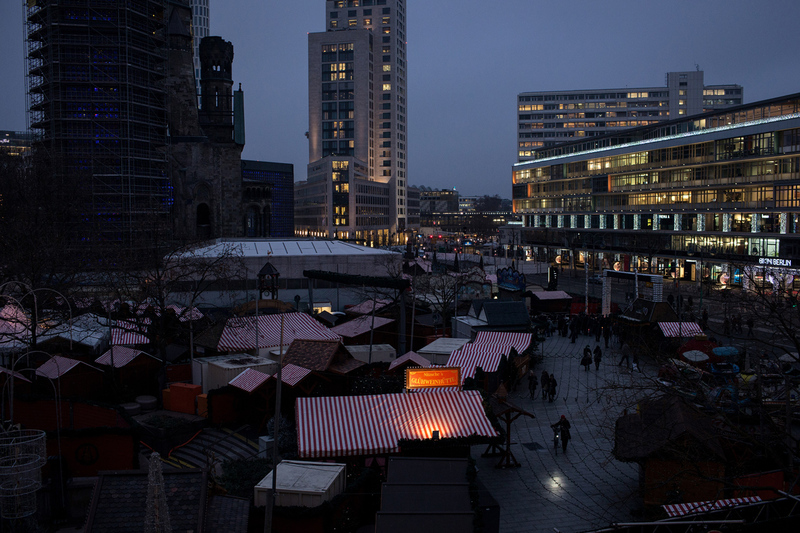 A day after the lorry attack on the Christmas market at Berlin's Breitscheidplatz, a tense security atmosphere was dominating the site. The market stayed closed. 2016. 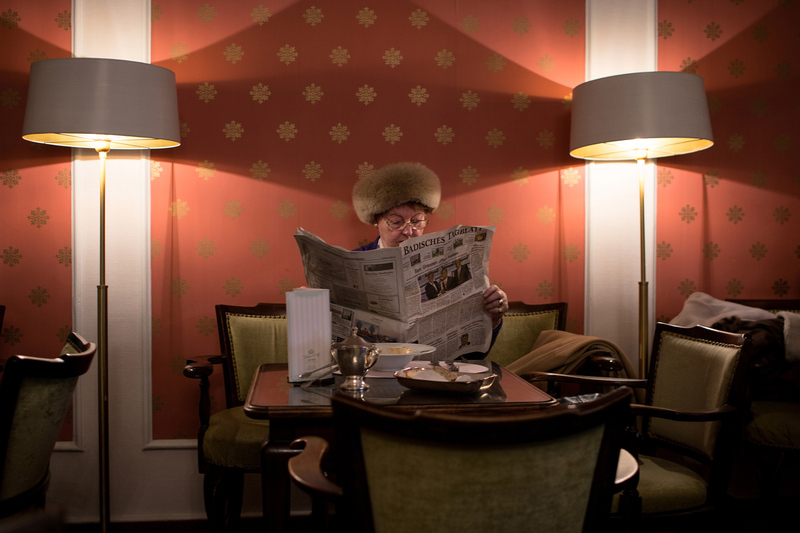 An elderly lady reads the local newspaper "Badisches Tagblatt" in the famous Cafe "Koenig" of the town of Baden Baden. a day after the "German Media Award" was handed over to UN Secretary General Ban Ki-Moon. 2014. 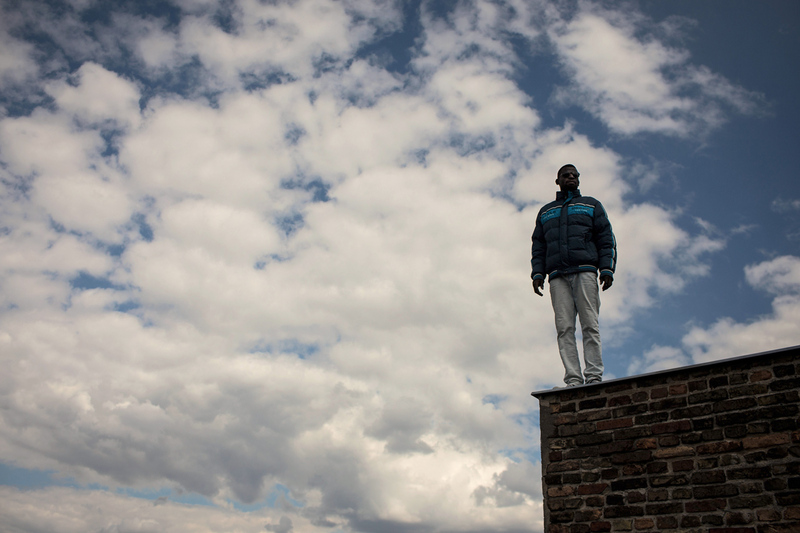 Yakoub, a refugee from Sudan stands on the roof of the Gerhart Hauptmann school in Berlin's Ohlauer Street which has been squatted by refugees and their supporters. A collection of standalone single frames photographed both during free projects and assignments over the past years.